Catch all the action of your Favorite Race or Sporting event at the Gold Coast Race & Sports Book. Bet on all your favorite professional and college sports teams. 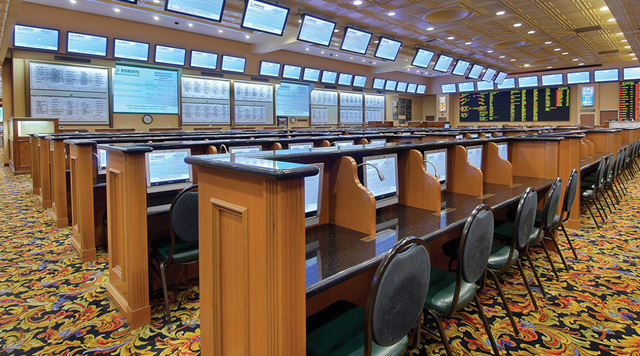 You can place your wagers by one of many convenient ways: Race players can use an IPT located in the book place their wagers while never leaving their seat, use our Race or Sports Mobile app to place your wager from anywhere in the state of Nevada. If you like to be in the center of the action you can surround yourself with our Seven (7) 90” screens and Thirty-Five (35) 48” screens with individual race monitors for the race players. We offer one of the longest running football contest “Pick the Pro’s”.